I got nominated for The Liebster Award by Ambreen (proudpakistanii). Thanks for the nomination. She writes beautiful poetry and love to review books. What is the Liebster award ? The Liebster Award is an award that exists only on the internet, and is given to bloggers by other bloggers. The earliest case of the award goes as far back as 2011. Liebster in German means sweetest, kindest, nicest, dearest, beloved, lovely, kind, pleasant, valued, cute, endearing, and welcome. 3. Answer the questions posed to you by the nominator. 5. Write questions of your own for your nominees to answer. Ans: It’s a habit of yours to walk slowly. Abraham learned how the sun and moon and the stars all set. He said, No longer will I try to assign partners for God. 3. Which book/movie moved you the most? Ans: The Da Vinci Code/ The Exorcist. 4. If you have to live on an island for six months and you could only take three items with you, given that food and clothes are already provided, what would they be? Ans: sleeping bag, chess and football. 5. What was your answer to “what do you want to become when you grow up?” as a child and are you still following that dream? Ans: I want to be a photographer cos I love people’s expression and nature’s colors. Alhamdulillah I am following that dream. 6. Excluding friends and family, who is your favorite person on this Earth? Ans: I can’t answer that. Ans: My grandfather told me if I threw my ball high enough in the air, I could hit the moon. So I tried and tried, and just when I was about to give up, my grandpa threw it for me and yelled “It’s coming down fast, hold out your arms and catch it!” And little me stood there arms stretched out wide, crying from sheer terror of catching the moon, and my grandpa just threw the ball into my hands. Sure enough I believed I caught the moon, but told him to throw it back so everyone could see the moon. He threw the ball up, intentionally getting it stuck in the tree and 4 yr old me believed he threw the moon back into space. 9. If you could bring one change in the world, what would it be? And why? Ans: Well, I will boost the use of green technologies to minimize carbon emission and make this world a better place to breathe. 10. Would you do an illegal thing if it’s morally right? Ans: Hmmm….. I can’t think of any thing. 11. What gets you through a hard day? Ans: Only Coffee can do wonders for me as I hate tea. If you won a million dollars, what is the first thing you would buy? Which book should get a film adaptation? Which is your all time favorite movie? What was your biggest fear while traveling? English Biscuit Manufacturers (Pvt.) 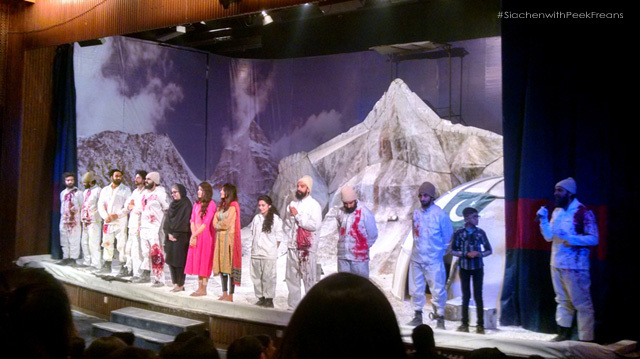 Limited (EBM) has invited bloggers to watch theatre play Siachen – written by Anwer Maqsood, directed by Dawar Mehmood and produced by Kopykats Production. Siachen is a story about our bravest soldiers stationed at the world’s highest battlefield. 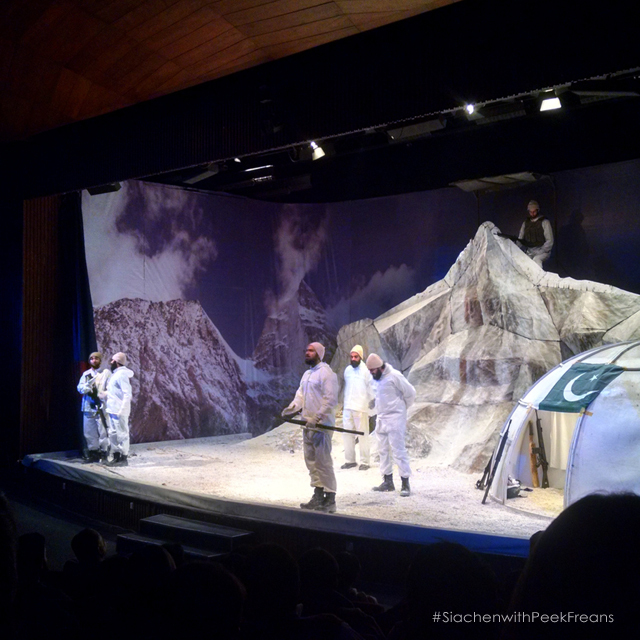 Play starts with the introductory speech by Dr.Zeelaf Munir, CEO of EBM as they are the official partners of this play while Anwer Maqsood explains the idea behind Siachen. 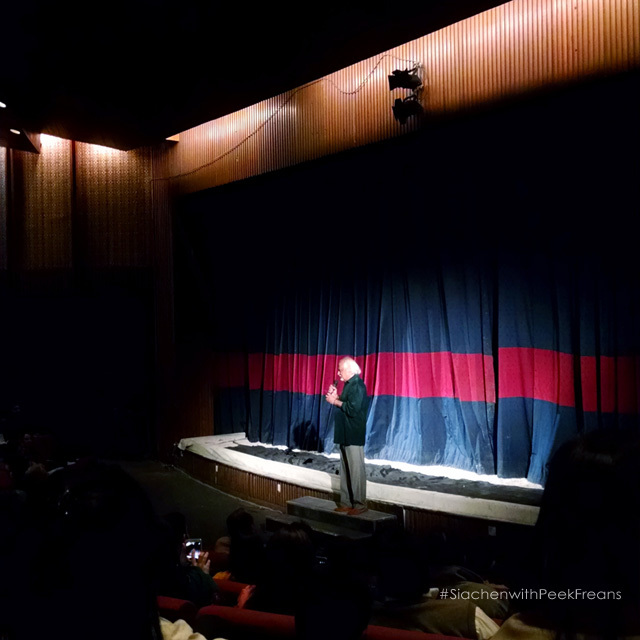 The auditorium was filled with audience, everyone was excited to watch this play. It starts with soldiers leaving their family. There are some emotional moments that can make you cry and then there are some witty jokes where you can’t stop laughing like ‘ek sardar tha aur woh bohat zaheen tha‘ meaning ‘there was a Sardar and he was intelligent’. Cricket jokes are the best. At times it reminds me of Alpha Bravo Charlie. From beginning to the end the audience was in fits of laughter. Very well scripted and young cast has done their best. The play was ended with a standing ovation by the audience. Siachen is running till first week of February, more info can found here. 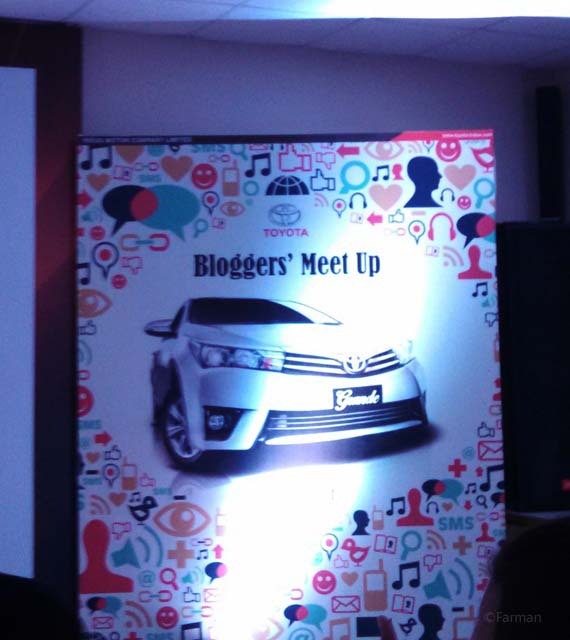 Yesterday Indus Motors Company invited the bloggers to visit their facility at Port Qasim, so we can witness how they manufacture cars and what technology they are using. They gave us warm welcome at the facility and give us a little introduction about the company followed by the safety instructions to be followed during the visit of assembly plant and the paint shop. After that the bloggers left for assembly plant where they briefed us about the whole process of car manufacturing. Then we visited the paint shop. Where they told us about the different steps involved in the painting process of the car. Then we visited the local parts display center where they showed us different parts of the car which they are manufacturing locally. 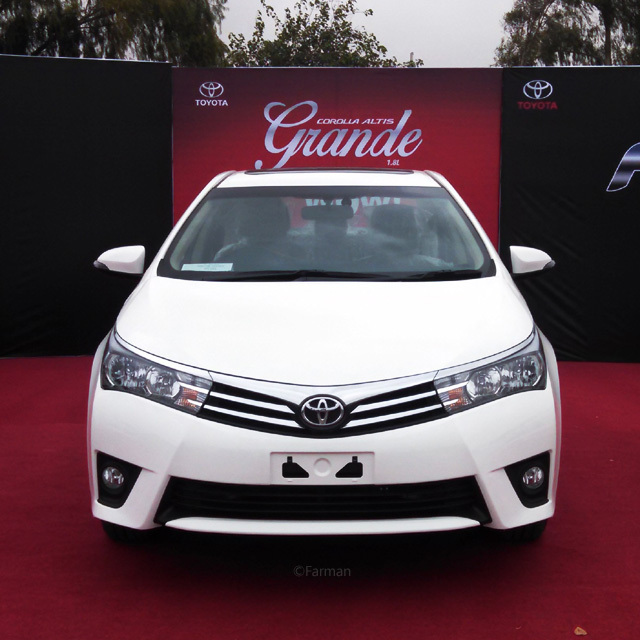 The new Corolla has 760 additional parts made in Pakistan which was a proud moment for us that we are making those parts with international standards. 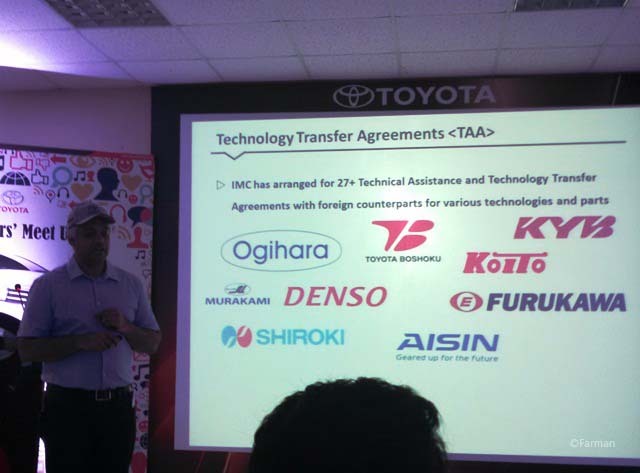 Then Mr. Taimur gave us the presentation about some facts and figures of the Toyota Pakistan. 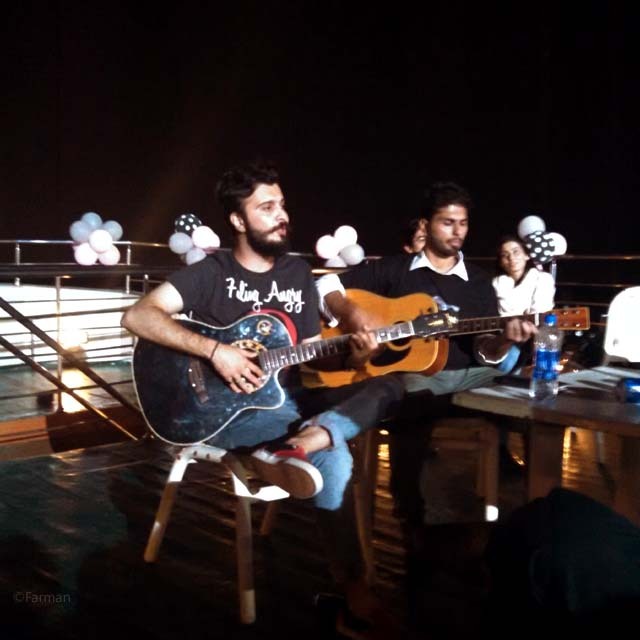 After the presentation, a quiz competition was held to engage the bloggers which was a fun part. In the end of this visit, Indus Motors had gave us an opportunity to test drive the Corolla Atlis Grande and Fortuner to experience the performance of these vehicles on ground. Then we had to the Marina Club to enjoy our dinner on the cruise ship followed by the live music performance. Recently I’ve been introduced to the #iGraphy – photography link up via the Noor Unnahar’s blog at Noor’s Place. So after seeing her recent post, I thought I should give it a try and this week my theme will be Sunset/Sunrise. 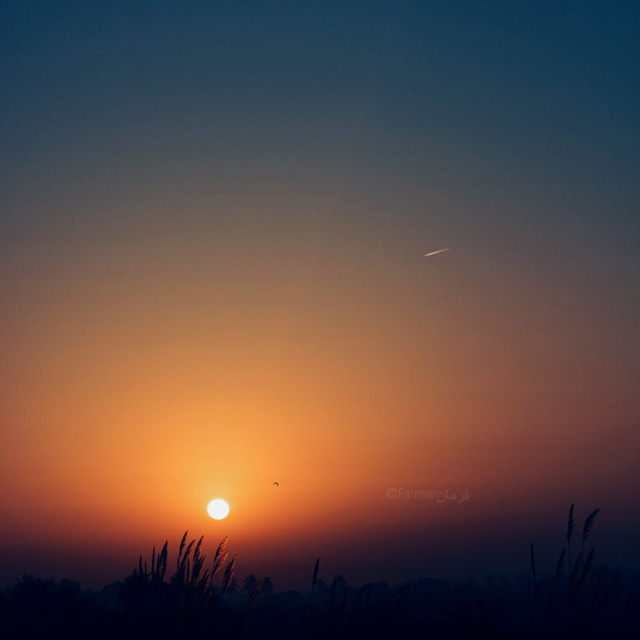 I just love the sunset/sunrise they are the signs of the beginning and the ending of the day. Clouds play important part during sunset/sunrise cos they add more drama to them. It is such a beautiful display of the nature, the changing color hues, cool breeze and the shifting thin clouds which makes a perfect sunsets/sunrise. 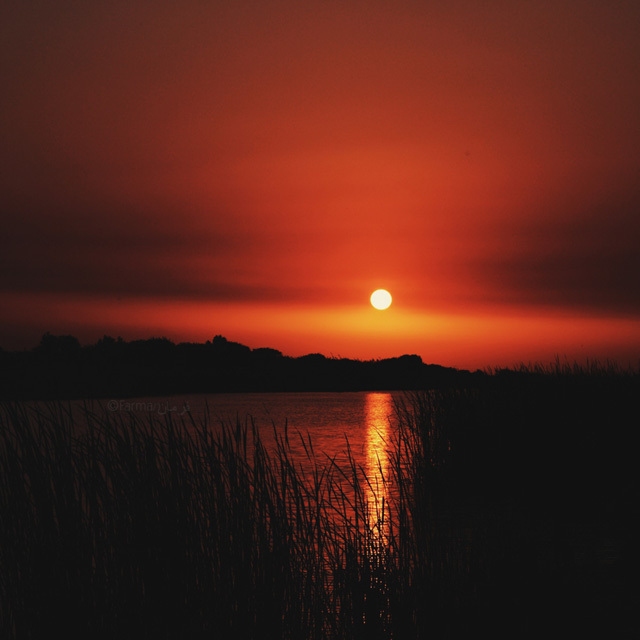 So here I’ll be sharing some of my best sunset/sunrise photos captured at different locations. 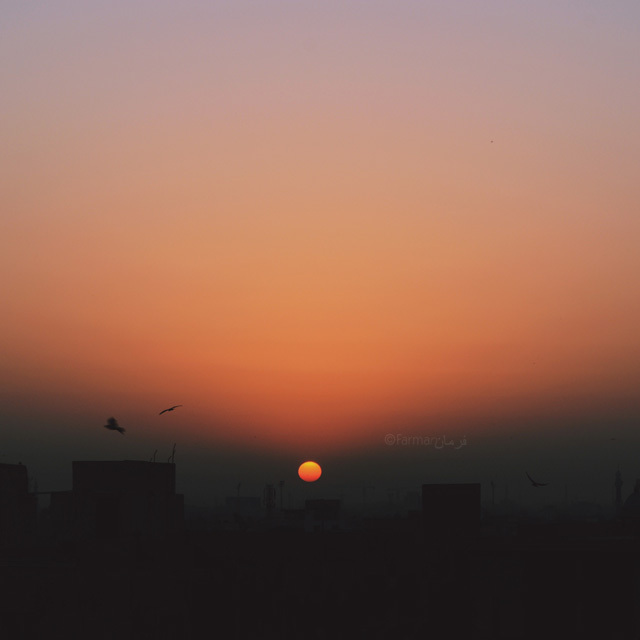 Usually I captured Sunrises during our Astrophotography trips to the interior Sindh or at my friend’s building roof which gives perfect 360 view of the city. The best thing about those Astrophotography trips to the interior Sindh that we can see the sunrise from the horizon which is difficult to find in the urban city. Captured at Mirpur Sakro, Sindh and processed with VSCOcam with a5 preset. Captured during a rainy day in Karachi, processed with VSCOcam with a6 preset. 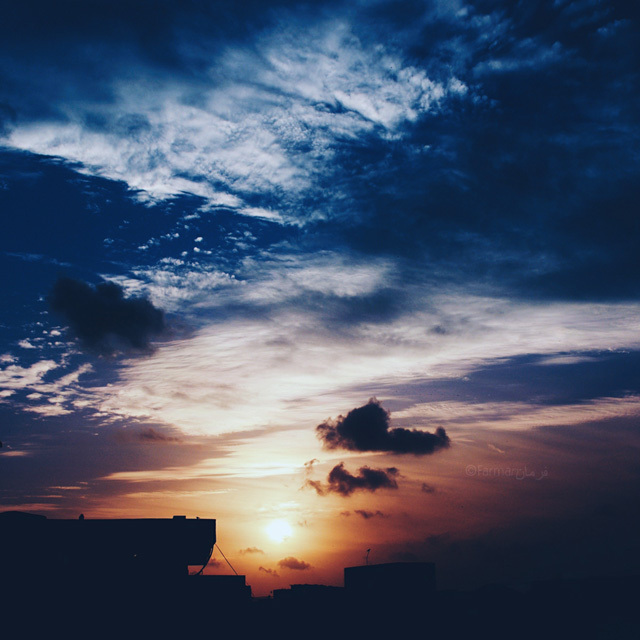 Captured at my friend’s building roof after the astro session, processed with VSCOcam with lv03 preset. 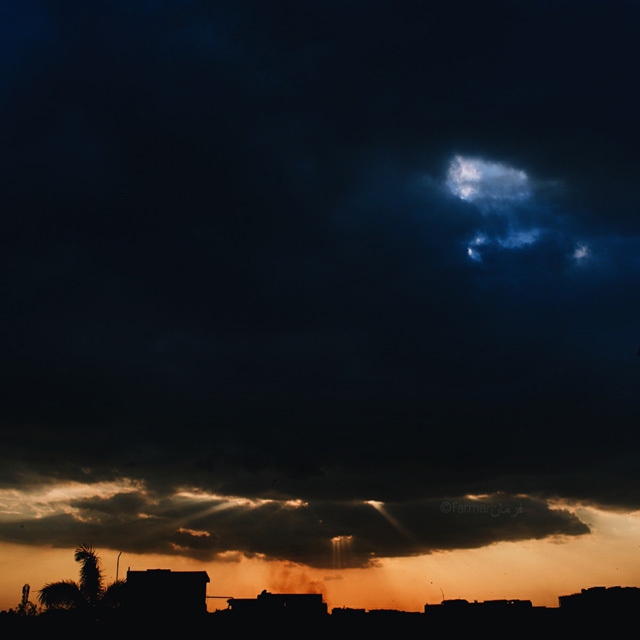 Captured at my roof, processed with VSCOcam with a5 preset. Captured at Mirpur Sakro, Sindh and processed with VSCOcam with lv03 preset. You can follow me on Instagram or VSCOCam and you can see all my Astrophotography photos here. I am born and raised in Karachi but I haven’t seen anything like this before in my city. Before Ramadan there was a massive shortage of water supply in different parts of Karachi followed by massive power failures by KElectric. KE blamed the Sui Southern Gas Company for the problem saying that the latter was not supplying gas to its units with the pressure required and also had not paid its arrears. The power utility also said the unusual hot weather in the city had significantly increased the power demand, causing its feeders to trip. Ramadan started on 19th June and still people of Karachi are suffering from shortage of water supply and unscheduled load shedding by KElectric. On 21st June (Saturday) temperature hits a high of a scorching 44.8 degrees Celsius, just short of an all-time high in the city of 47 degrees Celsius in June 1979. Many people died due to Heat Strokes. Provincial government had imposed a state of emergency at all hospitals, cancelled leave for doctors and other medical staff, and increased stocks of medical supplies. Till now more than 700 people have died due to heat strokes. Edhi Morgue had been packed to capacity with heatwave deaths and other casualties. Rest of them had been buried in the cemetery cos of shortage of space. All govt. 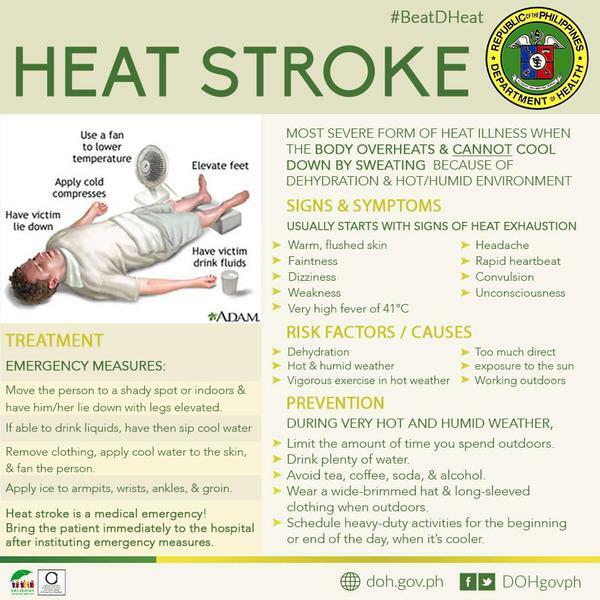 hospitals are filled with heat stroke patients. Few days ago I’ve visited Jinnah Hospital and Abbasi Shaheed Hospital. At JPMC they were treating patients in the waiting area, on the floor and beds stretchers. Both hospitals had shortage of staff. Recently Army has taken over JPMC and Abbasi Shaheed Hospital and lots of Medical students are volunteering at these hospitals too. As there isn’t much space left in govt. hospitals for patients, Army and Rangers has setup medical camp in the city to facilitate them. Alhamdulillah! Now situation is under control at JPMC, Abbasi Shaheed Hospital and Civil Hospital. Lots of people have donated different medical supplies to these hospitals. And still lots of NGOs and people are donating with the coordination of the medical staff at these hospitals. Its really good to see people came together and donate generously. May Allah ease rest of the Ramadan for all of us, Ameen!